Suitable for use with all types of metals, wood, bone, ivory, onyx. 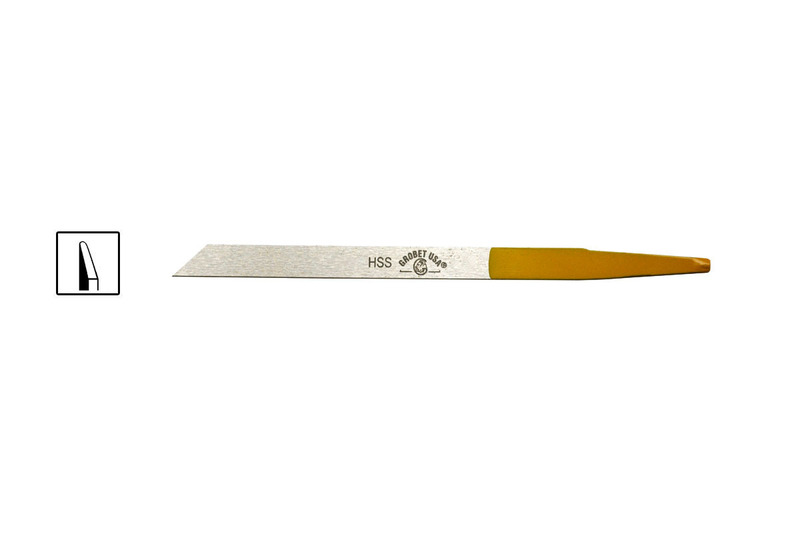 Used by engravers, stone setters, die sinkers, jewelers, and watchmakers. High Speed Steel Graver, Round. Yellow Tang. Available in five sizes.